JB Roofing, Inc happens to be making Barrington Illinois asphalt shingles installations over fifteen years. Although asphalt shingles installations are just one of our specialties, they are the dominating one. A large amount of properties within the state of Illinois have asphalt shingle roofs because of the resilience in addition to shingles affordable price, which is certainly significantly lower than that of the metallic roof, shake shingles, stone, or a few other roof covering materials, all while furnishing an equally quality general performance. The manufacturer of Timberline® asphalt roofing shingles is the NJ located GAF Materials Corporation, and asphalt roofing shingles are definitely not their only product. GAF specializes in manufacture of a range of building materials as well as other items like film for making / recording motion pictures. GAF has been created in 1886 and that makes it one of the oldest construction material manufacturers in the country. By purchasing Elk Corp. In the year 2007, GAF had become the largest roof covering material producer in the States. Over a century of experience in top quality production together with extremely favorable response originating from the clientele makes GAF essentially the most preferred asphalt roof shingles producer in North America. Our company’s potential customers very often ask for Timberline asphalt shingles before we even have the opportunity to recommend them. That is a good reason that the product line stands out as the flagship of GAF’s manufacturing company. In addition to the above listed attributes and a 30 years to life-time manufacturer’s limited warranty time-frame, our company adds a ten year labor warranty that covers brand new Barrington Illinois asphalt shingles installations. Before making any sort of judgements, allow us to supply you with a completely free estimate for your asphalt shingles roof replacement. We also bring in asphalt shingles samples to your home meaning you can find the one which complements your own house’s appearance the best. Perhaps you would desire something different than Timberline® asphalt roof shingles? 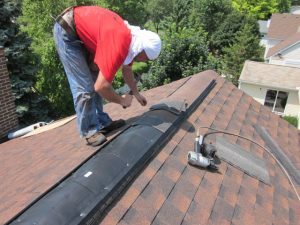 No problem, for the Barrington Illinois asphalt shingles installation we can easily supply you with a product from any supplier of your preference. Simply just pick up your phone, call (847) 639 – 7756 and ask for Charlie. At JB Roofing we make all Barrington Illinois asphalt shingles installations our priority.